Guess what? Oh nevermind, don't guess. I'll tell you! About 8 days ago I saw an opening for a graphic design internship with Silver Fire Media. They had a graphic design position that opened up. Silver Fire is a small company that does web design and mobile application design. I saw that it was an unpaid internship and that they were looking for someone to work 12 to 20 hours a week. I thought about it and thought, why not? You only live once! I remember when I was going to the LDS Employment center that they told me about preparing Me in 30 Seconds speeches and how that they can help you write your cover letter. The idea behind a Me in 30 Seconds is to sell yourself on your skills and who you are in a concise amount of time. I've always been uncomfortable doing this because I don't want to be arrogant or brag about myself. This time around, I saw that it was an unpaid internship and in a lot of ways I felt like I didn't have much of anything to lose. 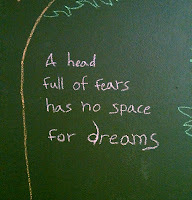 (Hint: I've seen that I pretty much always have nothing to lose.) I decided to be me in ever word I wrote in this email. Since most applications are sent online nowadays they essentially are the modern day cover letter. One winter day in Arizona of 2005 I was asked by my boss to create a business card at an Advertisement Design company I was interning for. He said I could use any di-cuts, colors, and materials I wanted. Eventually I created a business card that looked like a shield. My boss looked at it and then looked back at me very impressed. He later told me, "We have graduates of 4-year universities apply here and your work is better than theirs." 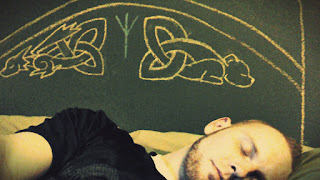 Ever since then I have turned heads in my artistic pursuits. 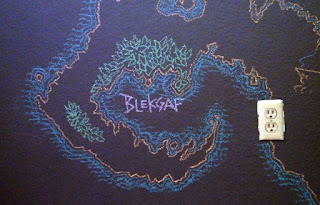 Gary Taylor of Blakfyre games told me that I got the gradients right when the original creatives had not. Kim Brown of Utah Valley University told me that my design for the Senior Projects Event brochure was instantly liked by all of the judges. My design was chosen out of 10 applicants. As a graphic designer for Silver Fire Media, I would continue to turn heads with my designs and would have an opportunity to learn. Please do not hesitate to contact me. I know that I would be an accomplished and helpful asset in your company. Thank you. I really decided to take a risk when I wrote this cover letter. I stylized my signature (it was a graphic design job after all) and really sold myself in my skills. I haven't really taken risks like this before. The writing style of my cover letter was creative and totally me. There's this stigma when it comes to business that cover letters must be boring and "professional." Really, boring does not mean professional and being my self is what got me this interview. So last Friday I went in for my interview. 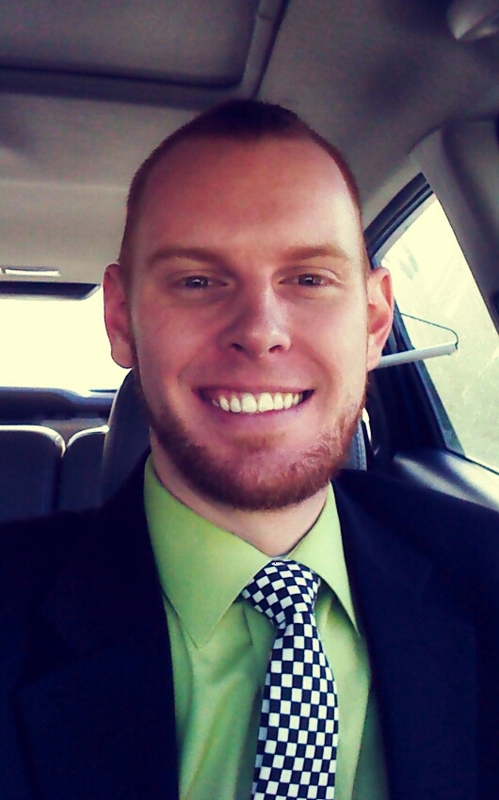 I wore a lime green shirt, white/black checkered tie, black suit, and purple/black checkered vans. This was another risk. Although I did dress one step above the position I interviewed for, the style of my kicks and tie may have been seen as a bit extreme for most employers. On the other hand, it could also be seen as creative and innovative--essential character traits in design. I decided to take the risk anyway. If they didn't like my style I wouldn't have liked working there anyway. I was told that they would call me later that day or Monday. I didn't hear anything on Friday. The weekend passes by and I anxiously await a call on Monday. The day passes by and I didn't hear from them. At this point, I figured someone more qualified than me got the job. "Well, shucks," I thought. Everything went well. I did my best. Where did I go wrong? What am I lacking? Thank you so much for the opportunity to meet with you and learn more about your company. I know that this exciting opportunity has probably been offered to someone more qualified than myself since I haven't heard from you yet. Because of this, I would like your help. If you have the time, could you offer any constructive advice to help me better my internship opportunities? What were you looking for in an intern? I would greatly appreciate any wisdom and experience you may have to offer. I wasn't even really thinking about internships when I applied for this position. A study abroad or internship was something that I wanted for this summer but I had other stuff I was worrying about too. (How to pay for it, moving, etc.) It was something in the back of my mind but that was it. Applying for this position and being interviewed helped me realize how important this goal was for me. I wanted to learn the most from this opportunity that I could. My potential boss responded and said that things got pushed back and that I was still being considered. They were interviewing one more candidate that day and would respond shortly. The next day I received an email with the invitation to be their intern! Wooohoo! You could imagine the smile on my face when I found out about this. I gladly accepted and start a new experience on Monday. Taking risk is totally worth it. I've taken risks and have been burned. I've taken risks and scored. I've scored but had to burn to get what I needed. I know it's scary, I know I could have been hurt, and I'm so glad I put myself out there. I couldn't imagine any other way to live. So, what is a Pokemon? A Pokeball, one of the most confusing plot devices ever. Pokemon are creatures of various shapes and sizes that can control elemental forces, like fire and water, as well as supernatural elements like psychic and ghost energy. These creatures populate a world where they and humans live in "harmony". 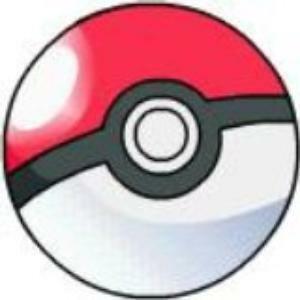 In this world people called Pokemon trainers capture Pokemon in devices called Pokeballs (Don't ask how it works, most of the technology in this franchise is a soft science nightmare) where they are then pitted against other Pokemon in a no-holds-barred battle royal until one is knocked unconscious, or in the case of a wild Pokemon until the free Pokemon is brought to the brink of consciousness where it is then captured and used in other battles. Honestly, at this point I've always been surprised that PITA didn't openly protest Nintendo when this thing came out. What did get protested though was the fact that once the Pokemon train to a certain point they "evolve", a word that infuriated conservative Christians. The controversy calmed down once authorities like the Pope declared that the depiction of evolution was in no way related to Charles Darwin or in any way against anyone's holy teachings. That's right, the Pope was involved with the Pokemon phenomenon. 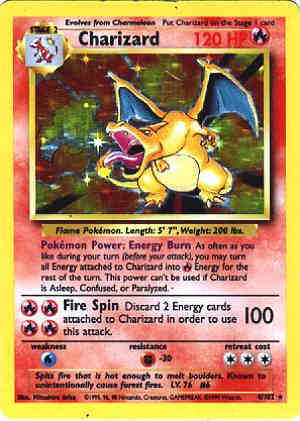 Which brings us to the Pokemon craze that hit in the late 90s and into today. To properly look at this we need to look at it in three parts: The video games, the TV series and the trading card game. From these three came everything else Pokemon created, from feature films to Pikachu underwear. million copies in the US in 1998. The whole thing started with a video game from Japan. In it the player becomes a Pokemon trainer, exploring the world and pitting small animals against each other. In the Pokemon world the trainer will face their Pokemon against other trainers, collect badges from certified trainers who can give out badges, compete in a massive tournament against four other masters of animal fighting and then be crowned the best Pokemon trainer ever. The rest of the game is trying to collect all the Pokemon in the world, and herein lies the genius of the game. See, Pokemon games come out in pairs, usually by color like red and blue, and certain Pokemon are only found on certain games, so if you want them all and aren't using a Game Shark you have to trade with other people playing the game. Before this cooperative play in video games was almost unheard of. Early versions of the Warcraft games could do teams, but few ever played on teams, and games with duos like Sonic and Tails and Mario and Luigi worked together but almost never interacted with each other. Here people had to work together, trading tips and ideas to get the best Pokemon. Of course they could fight each other, but that almost became secondary to the trading. They're have been nearly a dozen versions of the original Pokemon game since its conception, and each generation released at least 100 new Pokemon bringing their total up to over 600 as of the end of this year. With this the trading and collecting has both improved and yet in some cases become unnecessarily complicated. Used to be to evolve your Pokemon you either put it in enough gladiator matches that it levels up, expose it to mysterious radiation from different colored rocks till it evolves, then presumably gets a tumor, or trade it to someone and hope they're not a jerk and give it back. These days some can't evolve unless they like you, they're holding a certain item, at a certain time of day, and you're in a certain location. I wish I was kidding. Some you have to breed in order to get their offspring (Again, where is PITA in this world?) while others have two or three forms so once you get one form you have to catch another one and start the entire process over again. Needless to say that while the games still have a strong following, they've dropped in popularity over the years, and I'll explain why later. Next we have the card game. It's basically the same as the video game with bits taken from Magic the Gathering to make gameplay workable. It's one of those things that's easy to learn but hard to master, but the trading, fighting and collecting aspects are all in tact. 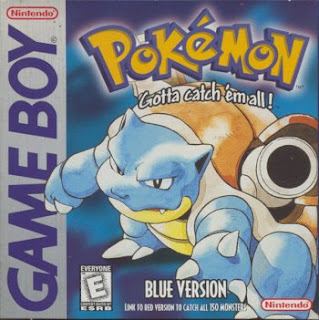 This game became so huge though that some cards were selling online for thousands of dollars, and game stores would even be robbed for their stashes of rare Pokemon cards. There's even an episode of Judge Judy regarding a law suit against a game store for selling a kid Pokemon cards with money he stole out of his mother's purse. People went nuts for these things. After a while (And after I got out of it) the game went downhill and even eventually was discontinued by Wizards of the Coast, but was later picked back up by Nintendo. The game is still popular, but the fanaticism has definitely died down. Last but not least was the TV series, which has spawned nearly a dozen films. Now the main character in the Pokemon video games never spoke, that way the kids can imprint themselves in the game easier. So in order to make the TV series they had to add personality and dialogue, and since the main character traveled alone, they also needed to add sidekicks. 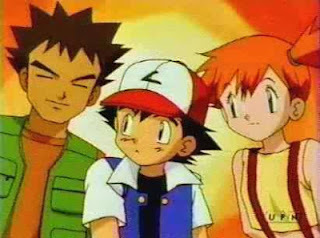 Meet Ash, Misty, and Brock. Ash Ketchum is probably one of the most obnoxious characters to ever grace TV. He's a 10 year old kid out to become the world's greatest Pokemon trainer, something he approaches with all the dignity and restraint a tiger on cocaine does to a lamb. He's over excited, an idiot, headstrong, an idiot, obsessive, an idiot. Did I mention he's an idiot? His companions aren't bad. Misty and Brock are actually in the game as trainers you have to compete in order to get their badges, but they had to flesh out personalities for them too. Brock is girl crazy but level headed and kind, and Misty is headstrong, ambitious, but smart and also kind. They seem to follow Ash out of an obligation one would have when you see a friend's kid at the store all by themselves. You're really not sure if they're mature enough to be out on their own. I know a lot of people who remember the shows main antagonists fondly. Team Rocket's Jessie and James are bent on capturing Ash's Pokemon for some stupid reason, and they do so by using the most stupid elaborate contraptions and costumes you could think of. I remember episodes where Ash and the gang were doing some thing about friendship or love and boring me to tears and these people showed up to save the day with a giant robot. They're classic over-the-top cartoon villains you can't help but love. This adorable little electric rat became the mascot of the entire Pokemon franchise after the show got big. Ash starts with him in his journey, something that's different from in the game, and they actually remade the first game into a version where you could start with Pikachu and you could see him follow you around. 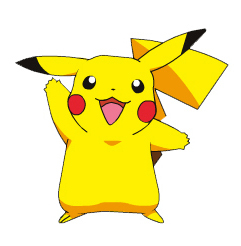 I've talked on this critter before so what I'll say now is that Pokemon would probably have been big without him but Pikachu is definitely the last piece to make this thing into a near cult experience. So with all that being said, what was the big appeal? Honestly, Pokemon was just shameless fun. The collecting in the game and cards have the same connection any collection does, the combat was fun for the video game enthusiasts, and even the show, when they wrestled Ash off camera did have the occasional good action and some entertaining scenes. So then why isn't it still so popular? 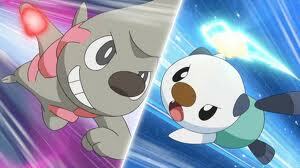 A Pokemon battle. I have no context outside of that. When Harry Potter was coming out, the books grew with its audience. By the 7th book the writing was on par for someone in college. Pokemon never got out of the 2nd to 8th grade mindset, so when the fans got older they eventually just outgrew Pokemon, and with all the innovations and quality crashes new fans just didn't hop on board. Pokemon still has a steady fanbase, but it'll never see the numbers or enthusiasm it once had again. This is my last thought: A lot of parents didn't like Pokemon because they knew it would eventually die out, and its always been questioned weather or not such fandom over a product is good or not. Honestly, I don't see the harm in it. Being into stupid fun stuff when you're a kid is part of being a kid, and the adults they become have something to look back on and laugh at. I got out of Pokemon when I decided I had outgrown it, no hard feelings against Nintendo or anyone else, I was just done. 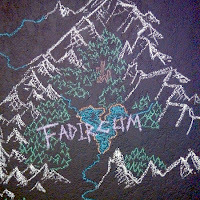 So while fads come and go, I'm glad I got to be part of this one. 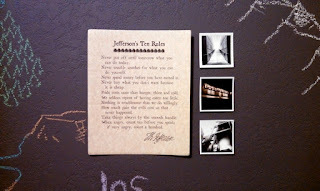 So, I wanted to try something new for this blog post. I actually recorded myself playing through a game for the first time. Turns out, I tend to sound really funny when I'm trying to play a game and record at the same time. As an added difficulty, the software I was using to record the video would stop every 30 seconds, so there were a lot of skips in my gameplay. I'm just feeling to stingy to shell out $37 for the 'full' version of the software. To see more information on Tower of Guns, see www.towerofguns.com. 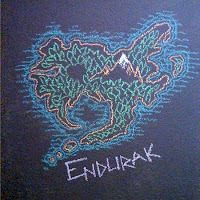 The game is currently 26% complete and can be pre-ordered for $5. It doesn't have a whole lot of gameplay, but the game seemed pretty action packed and interesting. Each time I played through, I got a different room. It was really hard to tell what was going on! (Well, I did only play about 15 minutes of the game). Anyways, let me know what you think. Do you like video reviews? Would you like to see more in the future? Leave your comments below! It's officially summer...as of Friday...but hey...it was Friday and we don't blog about things like this exactly on time. (Just see Joe's Father's Day post from last week.) Anywho....today, I'm gonna talk about my summer movies. These are movies I like to watch during the summer and more than likely came out sometime during the heat-filled season, which if you know me, is reason to stay inside and watch a movie whilst cranking the AC. And all but one of these fits the sci-fi/fantasy genre. Note: These are not in any major order. Other than the last 3 are the ones I really enjoy watching during this time of year. 1. 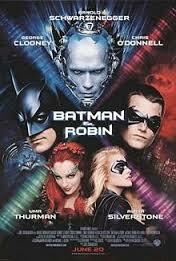 Batman & Robin: I don't care what people say about it, I like it. I've heard a lot of complaints about this film. The most common being this: "It wasn't true to the comic books. It was too campy." (Campy is a slang term. 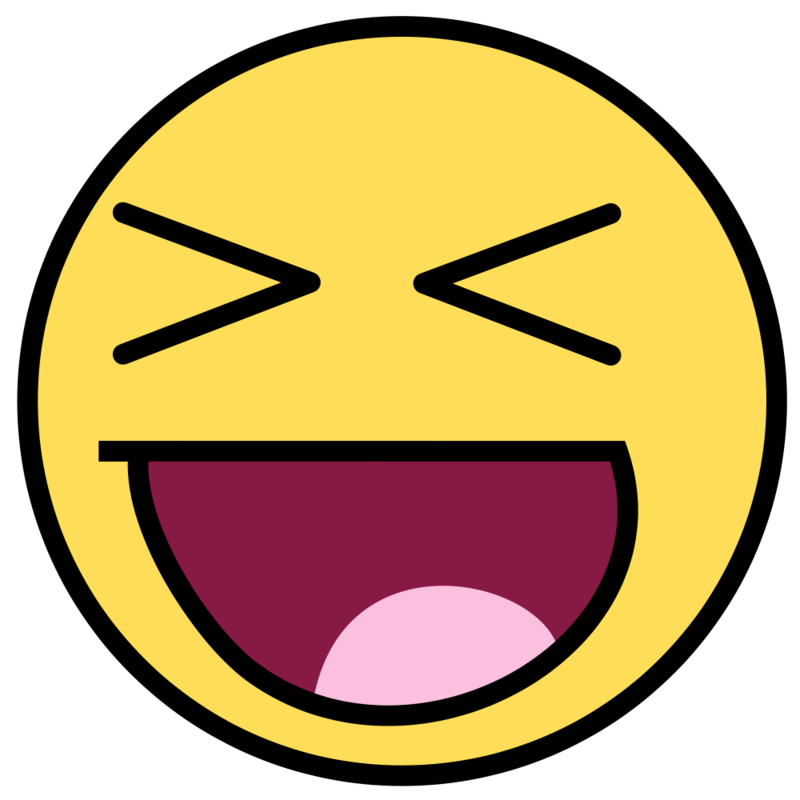 I'm using it to mean "a comical take on a serious theme.") 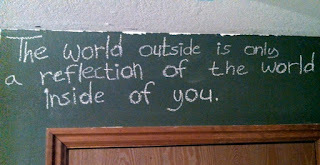 Amazingly, that is exactly why I like it. It fits with the 1960s campy television series, which was my first exposure to Batman. The storylines in those shows sucked. But that's not why someone watched. They watched it for the guest stars (I wouldn't have any idea who Burgess Merideth, Cesar Romero, Julie Newmar, or Eartha Kitt were if it weren't for that show). They watched it for the "pow" and "kablooie". And that is exactly what the 1997 Batman & Robin film was: big names and big fights. Arnold Schwarzenegger, Uma Thurmin, Chris O'Donnell, Alicia Silverstone, and George Clooney were all big names in that era. O'Deonnell and Silverstone were just trying to keep their careers alive, imo. But still. 2. 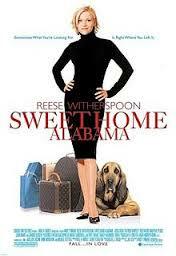 Sweet Home Alabama: Here's my one non-sci-fi/fantasy genre. Well, except that one chick has two men who love her at the same time. 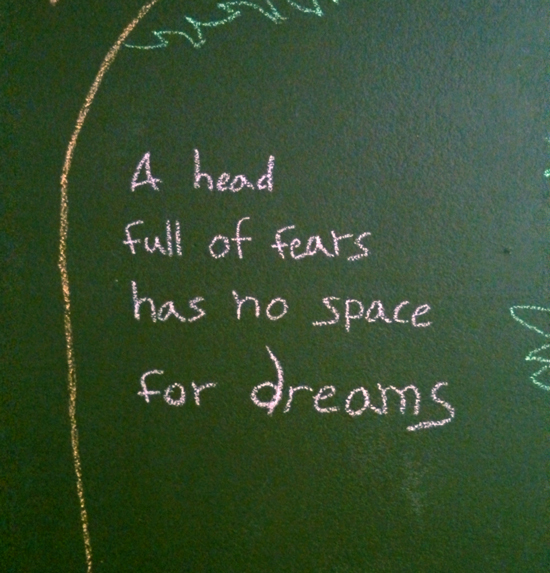 Generally speaking, that's pretty fantasy. At least in my life, I've never had two chicks going after me. Not that I want to, but it would've been nice to have been that person. Of course, I don't look like Josh Lucas or Patrick Dempsey. And most certainly, I don't look like Reese Witherspoon, whose accent makes her character that much more charming. One of the reasons I like this film is its themes. And a reminder that the South is just...well...it's the South. (Did you know that "baloney cake" is a real thing? Bleh!) FYI, I never noticed the dog on this pic before. That's kinda cool/interesting, random and strangely important. 3. The Princess Bride: As you wish. My wife is one of very few people I know who doesn't like this film. Her reasoning is it was overplayed. I gotta hand it to her, it probably was. But it was a worthy overplay, in my book. When my oldest brother told me he was gonna watch this movie when HBO was airing it one random summer day, I thought he was weird for liking a chick flick. (Like I'm anyone to judge with my enjoyment of "happily ever after.") But as I watched this, I saw that it really tries to have something for everyone. Not only that, but it's got a humorous look at fairy tales in general. Much like the following movie. 4. 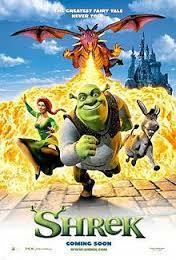 Shrek: This is the world's most irreverent fairy tale, which is what makes this movie so awesome. I actually can sit and watch Shrek and follow it up with Shrek 2. But I can't do Shrek 3 again. And I've never seen the 4th one. Still, Shrek mocks your average ordinary fairy tale. And yet, it's still a fairy tale in its own right. It's the one that teaches you that loving someone for who they are instead of what they look like is one of the most important things. Also, the irreverent humor makes me laugh. Sometimes, I just need a good laugh. 5. 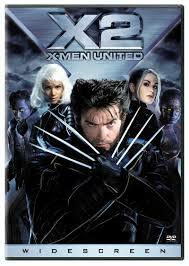 X2: X-Men United: In my opinion, this is the best of the X-Men movies. First Class comes in at a worthy second. I loved this movie enough to see it in theaters three or four times, to buy it the day it came out on DVD, and to watch it so many times, I have its scene structure memorized...maybe. Regardless, this was a proper use of adding extra mutants to the scene without oversaturating them. Nightcrawler and Lady Deathstrike were the biggest additions, while everyone else new was subtle. We were already familiar with Iceman, and Pyro just got a bigger presence. Professor X vs Magneto vs William Striker made for a compelling storyline. And leaving it open for a number three (never mind, they shouldn't have...) was a great ending to the film. 6. Spaceballs: Speaking of sequels, I still hold out hope that Mel Brooks has a secret script stashed away for "Spaceballs 2: The Search For More Money." Without John Candy, may he rest in peace, I suggest John Goodman to take his place as Barf. Of course, the rest of the cast, who are well past their fifties, needs to be replaced. Unless they can do a part 2 well enough. Shoot, Joan Rivers just needs her voice to do her role. Regardless, I love this film for its random break of the 4th wall, mocking sci-fi movies (specifically Star Wars). Not to mention a good-looking princess with a blaster. 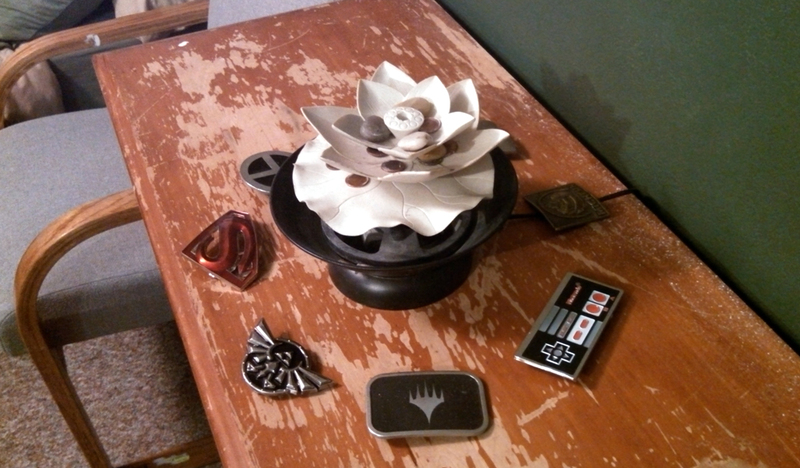 Oh yeah, and the shwartz. Here's a tidbit for you. 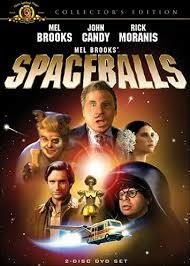 It was on this date in 1987 that Spaceballs was released. Happy anniversary Emperor Skroob et al. 7. 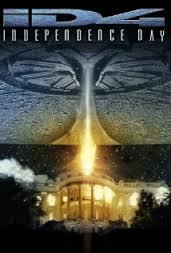 Independence Day: Yeah, can't go through summer without this blockbuster from the mid-90s. I loved this the first time I watched it. Also, watching The Little Mermaid beforehand, and then this, makes for a humorous moment when the preacher says "Dearly beloved." The rest of the theater didn't get why my brother, his friend, his friend's girlfriend, and I were all busting up at that. But we did. Anyway, this movie was a great sci-fi flick, especially for its decent storyline. Pro: blowing up the White House. Con: killing Lt. Commander Data. Regardless, this is one of those films I can just sit and listen to while doing a puzzle or organizing something. 8. Star Trek IV: The Voyage Home: "Did a little too much LDS." 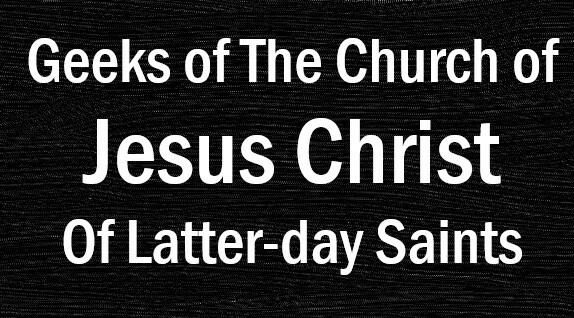 "LDS?" Oh, an awesome Mormon joke. Oh, and don't forget "Hello computer?" *Bones hands Scotty the mouse. "Ah, computer? Hello?" "Just use the keyboard." "Ah, a keyboard, how quaint." Okay, maybe I screwed it up, but it still makes me laugh. One of the reasons I like this movie so much is it's the first Star Trek movie I remember watching. Not only that, it was freshly out on VHS for the first time ever and Star Trek V wasn't even made yet. Yep, I'm that old. Rescuing the whales, not that great of a thing for the movie, but good jab into the politics of whaling at the time. 9. Star Wars: IV-VI: Does this need to be talked about too much? Sure. I'm a classicist. 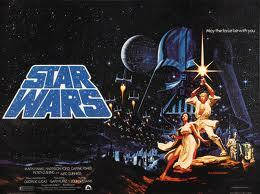 I liked Star Wars when Vader was Vader and not some little kid you knew was destined for evil. Cheesy graphics (or high-tech ones, for the time period) did not trump a decent story. Fight scenes were multi-tiered so as not to be focused on one thing, because usually multiple battles happened at once. I love that aspect of the story. You've got the space fight, the planet-fight, and the good vs evil battle on the death star. Three great events happening at once. Yeah, plenty of movies have this plot device. Shoot, some books do it too. But Star Wars is one that, in my opinion, does it so well and gets its tension to the right spot before moving on to the next one. If I were to watch only 1 of these, though, it'd be episode IV. Why? Because it's a completed story all on its own. Yeah, there's some room for a sequel, but it stands alone well. 10. Star Trek: First Contact: Where Star Trek IV was the first Star Trek movie I watched, First Contact was the first one I saw in theaters. Starting off with the eye (which was somewhat disturbing and cool all at the same time) to the final scenes, I loved this movie and rank it as one of the best in Star Trekness. A few not so exhilarating part don't even detract from the awesomeness that is this film. This was Star Trek at war, something spoken about plenty during The Next Generation's run. The battle on the Enterprise is just awesome and the humor on the surface was well-done. The right characters were in the right places for them to shine. Riker, Geordi, and Troi on the surface with Picard, Data, Crusher, and Worf fighting the Borg. About a month ago I moved out of Eagle Mountain into a new home in Provo, UT. I'm now no longer living with a wonderful family of 4 but have 4 other single guys for roommates. My new room is big, my ward is great, and it's conveniently close to a bus stop that can take me to school and the frontrunner. All in all, it's a good change but it's also a hard change too. I was born in Maryland and when I was 5 years old my family picked us up and we moved to Arizona. In Arizona, I lived in three different neighborhoods and went to three different schools before we moved back to Maryland when I was about 10 years old. My mom was offered her old job back and she couldn't refuse. I didn't want to leave my friends in Arizona. Back in Maryland, we lived with my Grandparents for a little while until we found a Cape Cod style stone house in Sykesville, MD. I fell in love with this magical house. It was 3 stories and a graveyard was just beyond our backyard. Down the street lived my childhood best friend Michael Baker. I had a great childhood here growing up. It broke my heart when we moved back to Arizona. I later found out in life that the reason we moved to Arizona was because my mom wanted me to have better educational opportunities since I had a learning disability. Since moving here to Utah in July 2011 I have come to live in 5 different homes. dragon celtic knot to the left and a bear one to the right. 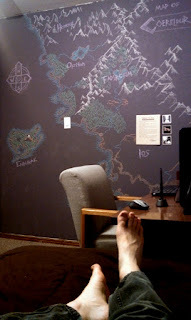 So yeah, I move a lot. It's the only life I've ever known. My life is full of Hellos and Goodbyes. Looking back, I know that all of my decisions to move have been the right decisions. I'm not flighty and try to run away from problems. The way my life has played out, a change of scenery has often been what I've needed. So that brings me to where I'm living now and what I've done with my room. Having lived in so many places I've decided I want to live here as long as possible. I want this place to feel like my home and a place I belong to. I want to know what it feels like to really have my roots in a place. 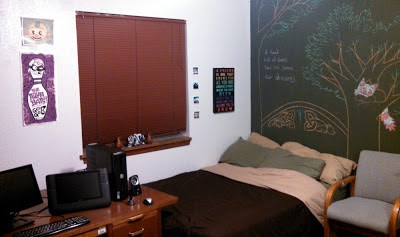 Thus, I painted three walls in my room. 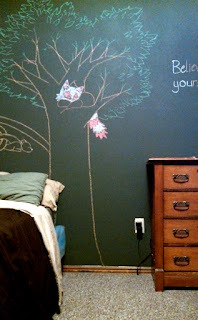 I didn't use just any paint. I used chalkboard paint. As many of you know, I love to draw and I'm studying Animation at Utah Valley University. 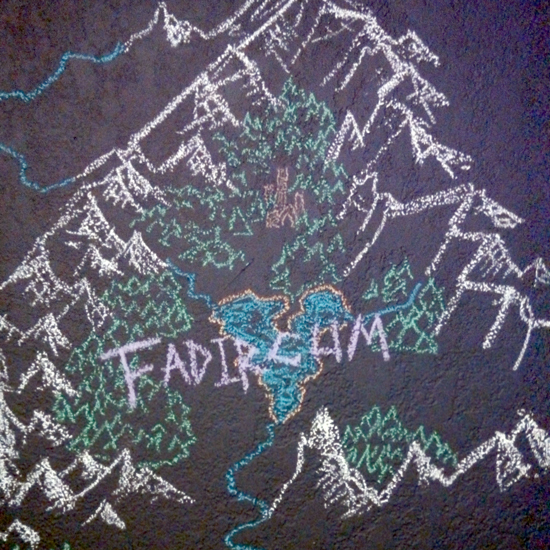 To be able to draw on my wall is probably the best way for me to make something my own. 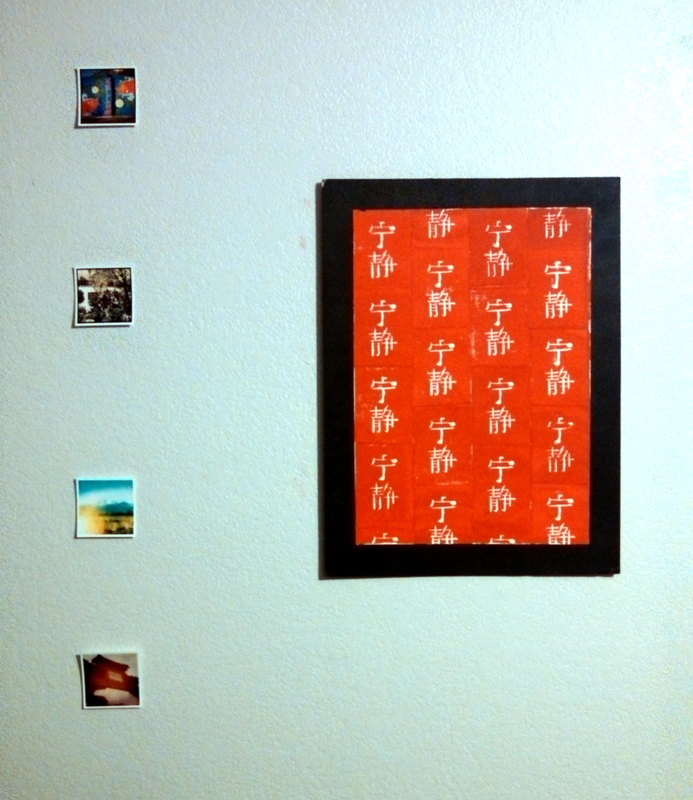 Some instagram prints and a print I made. 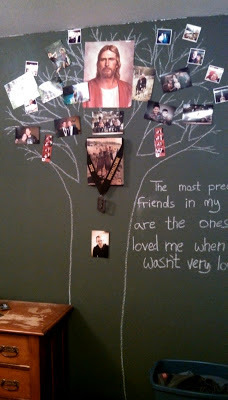 Detail of my family and friends tree. 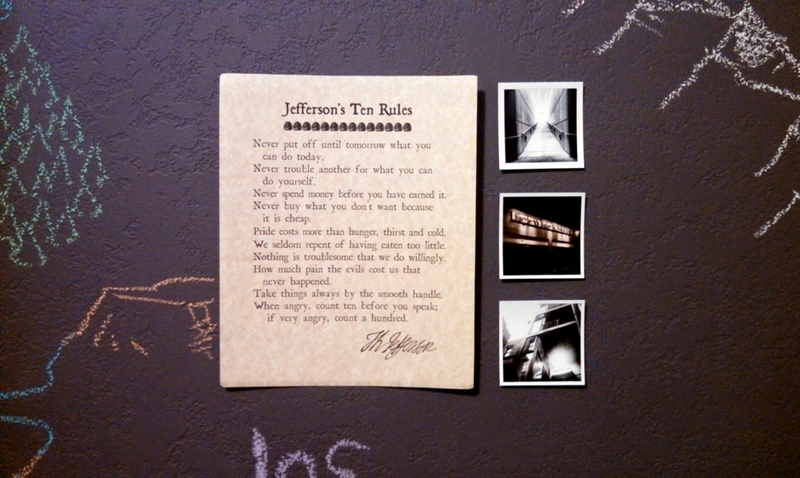 Some words of wisdom and instagram prints. A print and a poster. 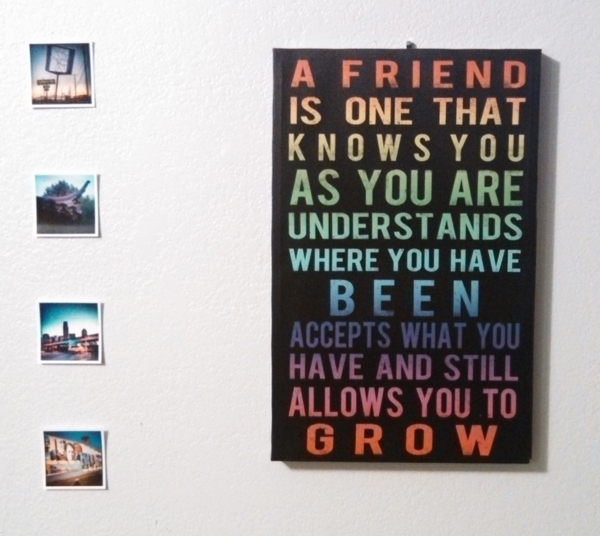 A print I bought at Wal Mart and some Instagram prints. 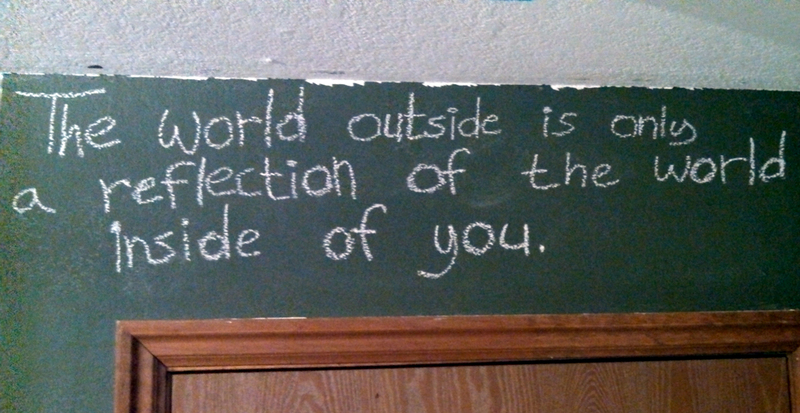 I live in my own little world. rivers, and really big lake. 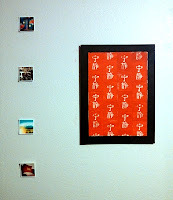 The point of this post today isn't just to show off some cool things you can do to a room or to once again show off my crazy cool art skills. The message I have is that investing in something is worth it even if it's risky. 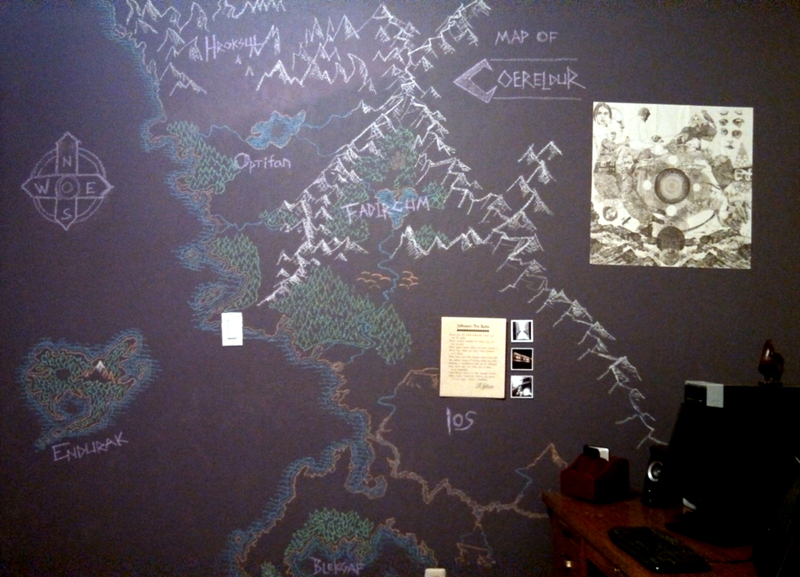 To paint these walls cost me a little over $70. I could very well meet my eternal companion and need to move out of my place at the end of this year or maybe even sooner. So why take the time to make an emotional connection when it's going to end? 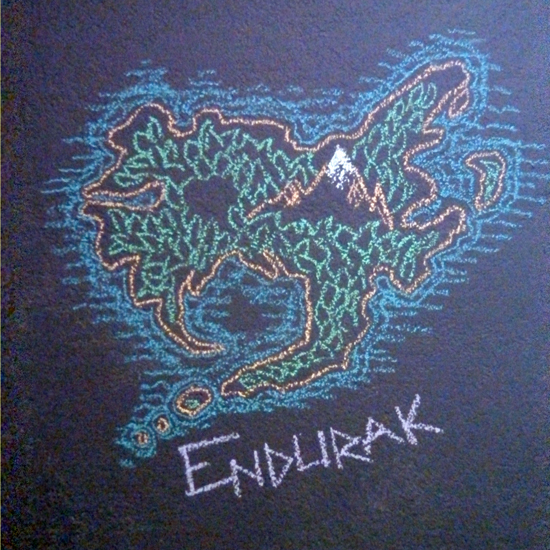 Map of Coereldur. A lot of work. It does hurt to move. It hurt so much to say goodbye to Michael when I moved to Arizona. 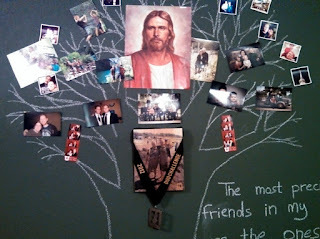 It hurt to leave my old roommates and have to say goodbye to them. I miss the wards I've been to even when I was only there for a short period of time. 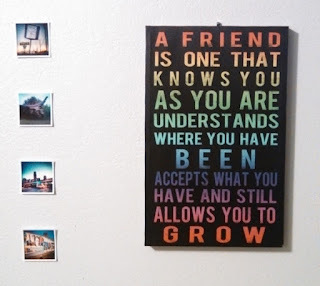 But I also know that I don't regret allowing those friendships and emotional connections to exist. The last time I saw Michael was in 2005. It was on my senior trip for my High School. My parents had kept in touch with his family and Michael came to visit me while I was near where he lived. It was great to see him and pick things up right back where they left off. I didn't realize how much I had missed him until I had seen him. Unfortunately, we didn't keep much better contact after that and I haven't spoken to him since. I've tried to find Michael on facebook and people finder services with no luck. Even though I haven't been able to find him, I'm glad I was able to share in such a great friendship with him. I feel the same for all the shared experiences of many people in my past life. Yeah, I will sometimes feel sadness but I also feel a lot of gratitude. The thing is, sadness is good. If you had a good connection to someone or something then you would need to feel sadness when you part ways. 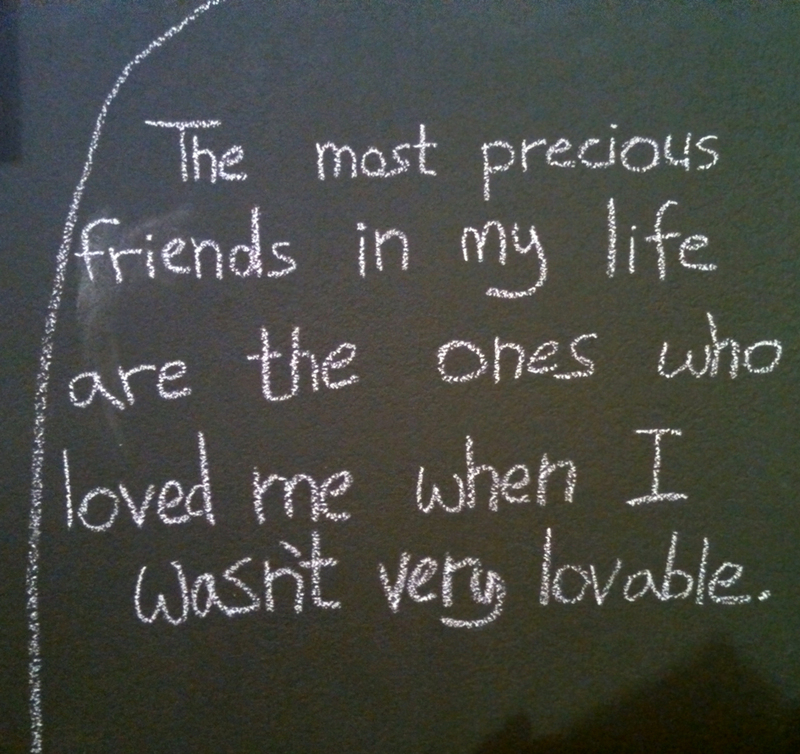 I wish some of these friendships in my life would just last forever. 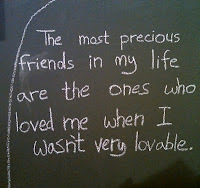 The wonderful thing is that although relationships change, true friendship will always last forever. My family and friends tree. In honor of Father's Day (I know it was three days ago so shut up) I decided to devote a post to the top ten dads of geekdom. Now to clarify, I'm focusing on dads not fathers because as it's been said anyone with active reproductive material can become a parent, it takes true character to be a dad. That being said Darth Vader is not going to show up on this list, because one selfless act does not a dad make. I actually found it a bit harder to find 10 good examples of dads in geekdom, click here for my thoughts on that. As usual, I couldn't be bothered to put my list in order. These just exist in my top ten. When I mentioned that Goofy would hit my list I had a lot of people give me surprised reactions, then I said Goofy Movie and all was clear. 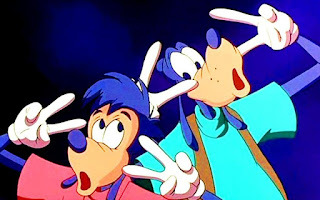 Goofy is a good dad because he's constantly trying everything he can to connect to his son, both in the TV show and the films, and only fails because he's dealing with a 90s teenage stereotype. It may take a while for Goofy to succeed, but he definitely gets an A for trying. This film focused heavily on Bob's relationship to Helen, but I appreciate the scenes where Bob interacts with the kids. He seems to genuinely care about his kids, and this manifests in some really cute moments. I love him and Dash with the slot cars because I remember playing that with my dad, and the scene where he comments on Violet wearing her hair back is just darling, as well as helps develop her character. Mr. 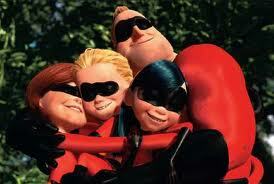 Incredible may be having a midlife crisis, but the one thing he doesn't want to escape from is being a dad. Here's an interesting family: a mutated rat teaches four mutated turtles martial arts and the delights of TV so they can become super heroes on the streets of New York. I'm sorry, but no matter how many times I try to describe anything from the Teenage Mutant Ninja Turtles I just think it sounds weird, and I was raised with the thing! 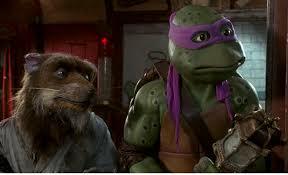 Splinter though is probably one of the best characters from this whole thing, since he seems to be the only one able to express emotion outside of cheesy one liners and talk about pizza. Splinter has this fatherly devotion to his children, a strength we usually see in martial arts sensai/student relationships but is taken to the next step here by him being the one who raised them. I feel like Splinter is not only the perfect example of a master warrior, but the perfect example of one who can balance the warrior with the love and devotion only a dad can offer. For all the films Disney has made they have a reputation for having parents either barely there or non-existent. With that in mind, it's extremely refreshing to see Disney characterize Mufasa as probably the best dad in the world, if only to make it more sad when he's brutally murdered by one of Disney's best villains. 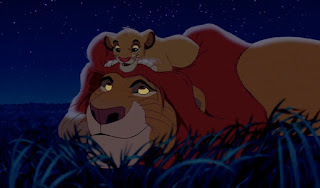 Mufasa finds a way to balance grooming his son to be the future king while also showing him the simple love and connection only a dad can provide. I understand that Jor El plays a big part in the new Man of Steel film, but since I haven't seen it yet I can really only speak for Superman's adopted father, Johnathon Kent. This is the one who Superman goes to when he's not sure what to do morally, or when the burden of being both Clark and Superman is too heavy to carry. 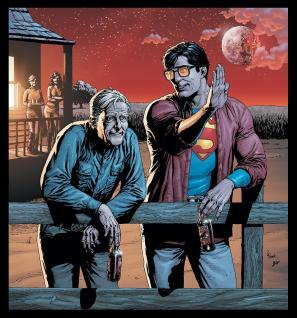 Johnathon can also be credited for the infamous glasses that separate Clark from Superman, as well as the body language to keep people off his tail. As the picture at Deseret Book says, even Superman needs a dad. I really wanted to put Sirius Black on this list, but he just wasn't present enough for me to justify it. Arthur though, was a great dad not only to his seven kids but to Harry and Hermione as well. 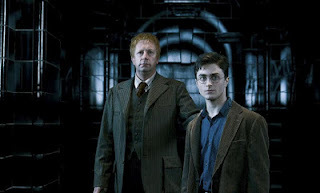 Here's what I love about him: Even though his family was poor, even though he was interested in muggle stuff (A taboo apparently in wizard culture), he always kept his honor and fought for what was right. Arthur is a steady as a rock good guy, who would happily give his life to help any of his kids, weather they're gingers or not. 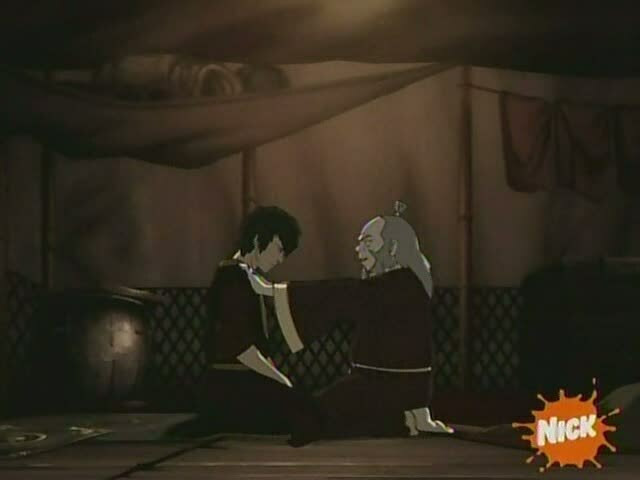 To me you can't say enough about Avatar the last Airbender, but one of my favorite pieces is the relationship between Prince Zuko and Iroh. Here we have a literally wounded boy, desperately trying to regain his father's respect and love, and by his side is the patient and kind Iroh. Through the series Zuko recognizes who truly loves him, not as a piece on a chessboard, but as a person. Iroh is trying to make up for the lost of his son Mako by finding redemption in his nephew, and if you ask me he found it. If you want evidence just ask Zuko's grandson in Legend of Korra, general Iroh. In Buffy the Vampire Slayer we don't get a lot about Buffy's father. What we do get is her relationship with her Watcher, Giles. At first reluctant to look after the seemingly vapid teenage blonde, Giles grows to love her as though she was his own daughter. The song he sings in the musical episode is basically a fatherly love letter to his Slayer, and at times can bring me straight to girly tears. Check it out. He's Spock's dad. 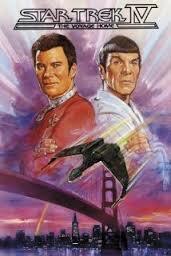 And yes, I know Vulcans can't show emotion, but work with me. 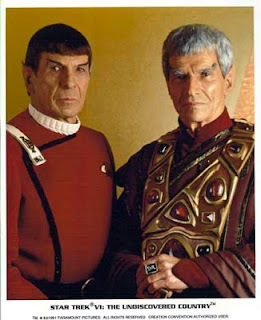 If we remember Abram's first Star Trek film, we see Sarek being quite tender with young Spock, reassuring him that he can make it through the trials of his life, and even opening up to him by saying that the reason Sarek married a human was because he loved her. Jump back even further to Star Trek: The Next Generation when Sarek suffers from Vulcan aging and mind-melds with Picard to control his excess emotion. Picard expresses for Sarek his love of Spock and his regret that they couldn't be closer. 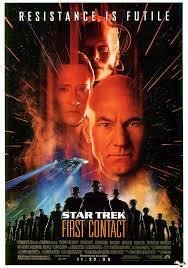 It's an awesome performance from Patrick Stewart as well as a perfect piece for an obscure but important character. 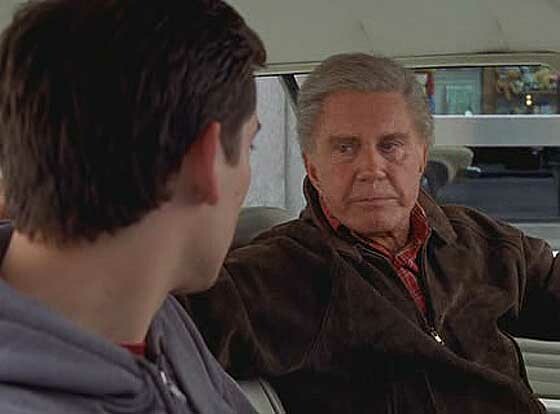 Last but not least let's not forget Spider-Man's big piece of emotional damage Uncle Ben. This character is one we only get in flashbacks and the beginning of the Spider-Man story. He raised Peter as his own, but because Peter was off competing in an underground wrestling match and didn't stop a criminal, Uncle Ben got killed. Fortunately before he left he gave Peter the basis of which he based his entire super hero career on: "With great power comes great responsibility". I don't even know what context he was using when he told Peter such a perfect line, but it works. We all miss Uncle Ben. Alfred Pennyworth: As much as I love Alfred the only time we really see dad stuff and not incredibly tolerant legal guardian/butler stuff is in the movies, and even then it's usually more of a buddy thing. Maurice: Belle's dad from Beauty and the Beast. As far as Disney characters he's actually a pretty well developed dad, but I feel that Mufosa did it better simply by having a more compelling character than crazy inventor. Tenzin: The Airbending Master from Legend of Korra is definitely a good dad, and we can only assume that his father Aang rocked, but I felt that Iroh's development throughout the series had to get credit, though I am open for more awesomeness when Legend of Korra starts back up next month. P.S. 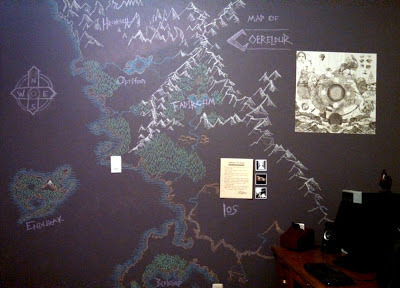 Click here for an introspection as to why dads aren't more present in geekdom.